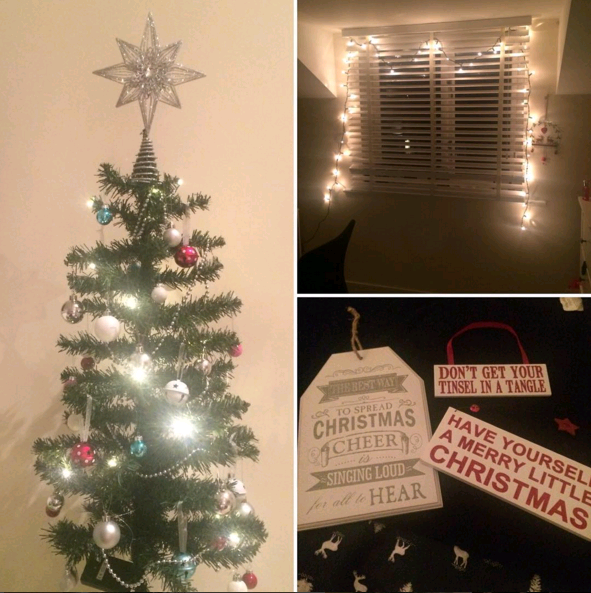 Beautiful You: Blogmas Day 7 | My Christmas Decorations! Blogmas Day 7 | My Christmas Decorations! Today's post is something that is more so for me than anyone else but some of you might like seeing it. I am going to share with you my Christmas decorations that I have put up in my room this year, I did have them up last year but my room is bigger this year and it looks much better. I couldn't find my Christmas tree for ages but yesterday we got all the decoration out for the tree at home and I finally found mine. I'll talk about the tree later but I also found my Christmas plaques that I bought last year, the silver one and the bigger red one were from a shop in Bournemouth called Tickles & Co and the other one was from Primark. Then lastly there were some spare lights in the bag so I just decided to drape them around my window to add a bit of festiveness to that area. I know it is a little bit bare on the light front but that's because it is a pre-lit tree so can't change that. Anyway the tree itself was from Asda last year and if I remember rightly I think it was only about £4/5 which is amazing value for a 3ft tree. The silver and white baubles were also from Asda along with the silver beading, I think the baubles were around the £4 mark and the beading was £2. The colourful baubles were £3 from Wilkos and the bells were also from there and they were around £4, I might not have remember the exactly price but it was something like that. Lastly the star on top was also from Wilkos and this again I think was around the £4 mark because I wouldn't have spent much more than that. So there is my little Christmas tree in my room this year, I do have to say that it has made me feel more festive for sure. 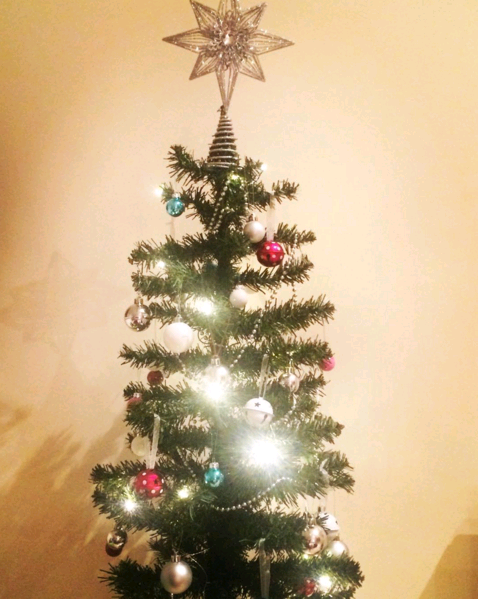 Have you guys put up your tree yet? Do you have one in your room? Let me know in the comments what themes you have and if you have real or fake trees! I hope you have enjoyed seeing my decorations and I will see you all tomorrow!